The keys had been lost to these pair of Chubb wall safes used for collecting at a Liverpool church. 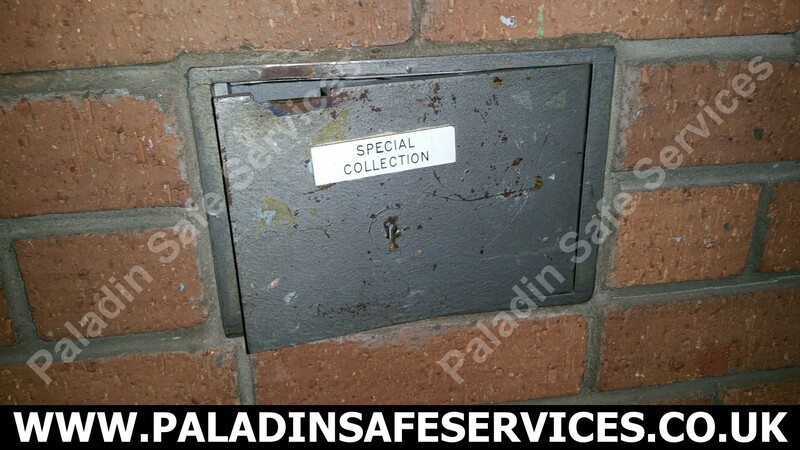 I’m guessing they hadn’t been opened for a while as the coins started pouring out of them once we’d picked them open and I thought it was never going to stop. 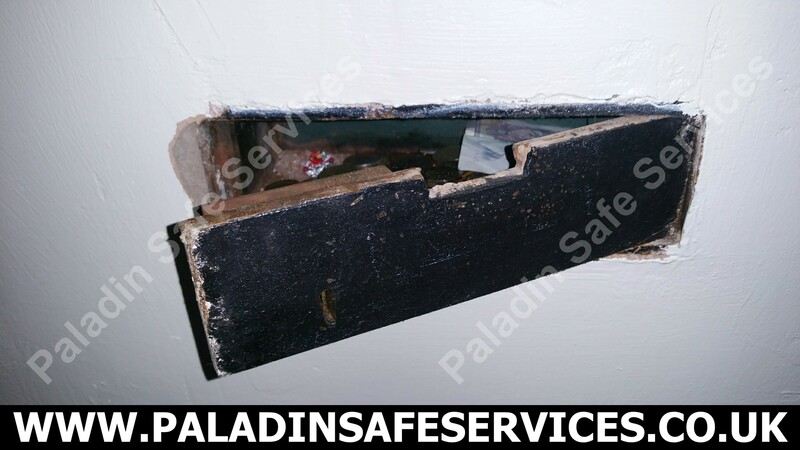 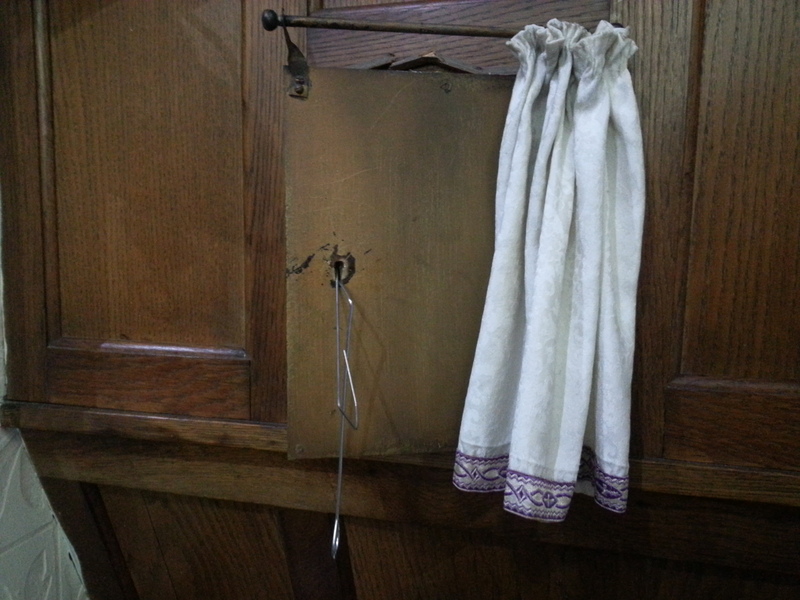 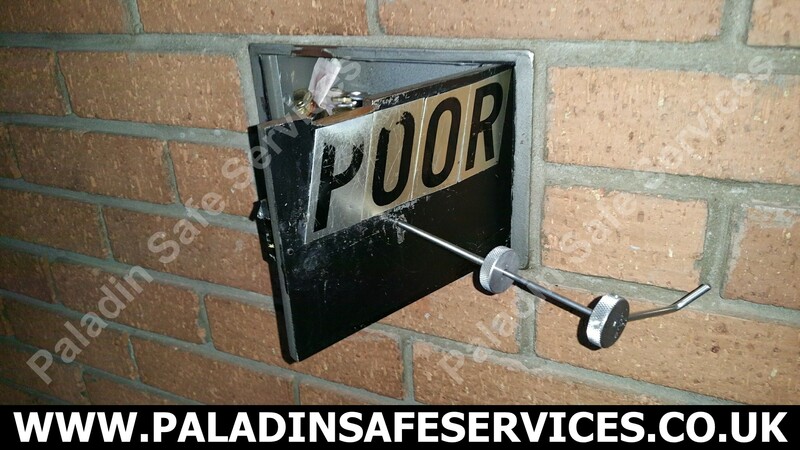 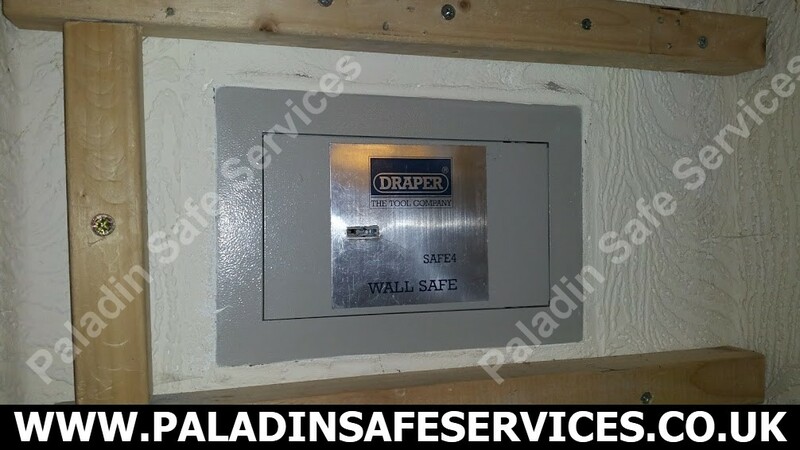 The keys to this Draper Safe4 wall safe had been put in a safe place and were never found again. 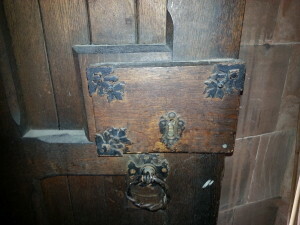 We attended the home in Stockport, Manchester and picked open the double bitted lock so as not to cause any damage. 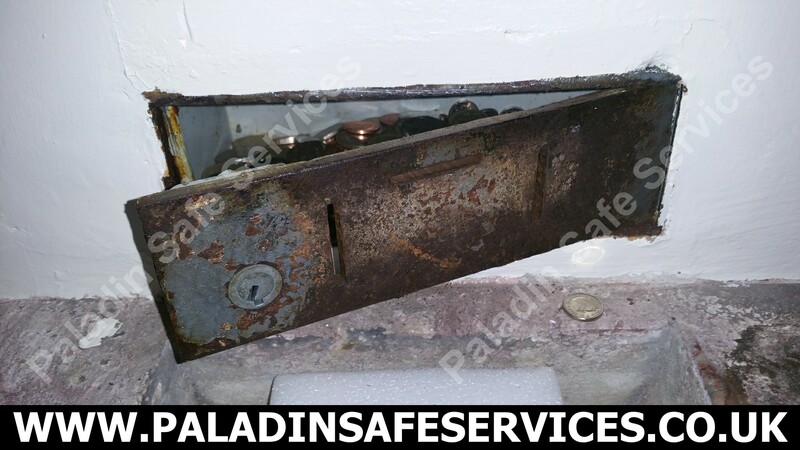 We were also able to supply a new set of keys so that the safe could be used again by another satisfied customer. 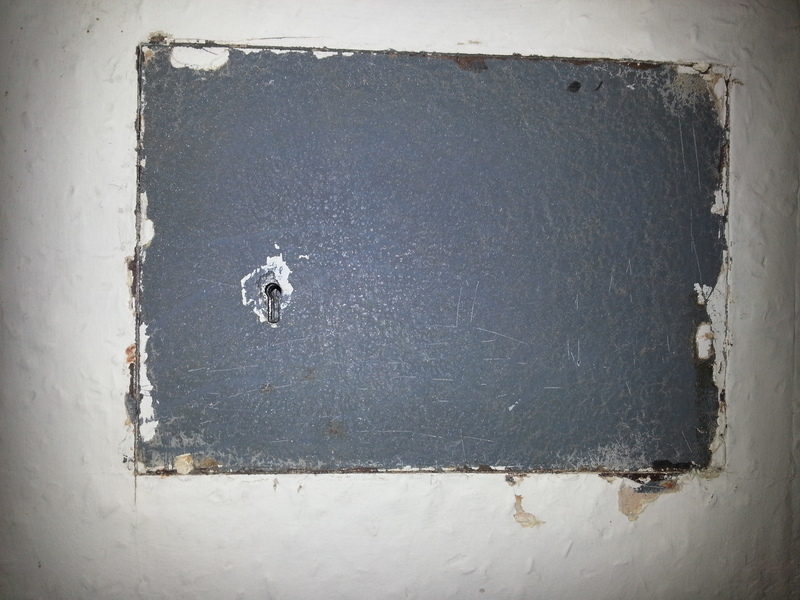 The owner of this Chubb Wall Safe in Crosby had lost the one and only key. 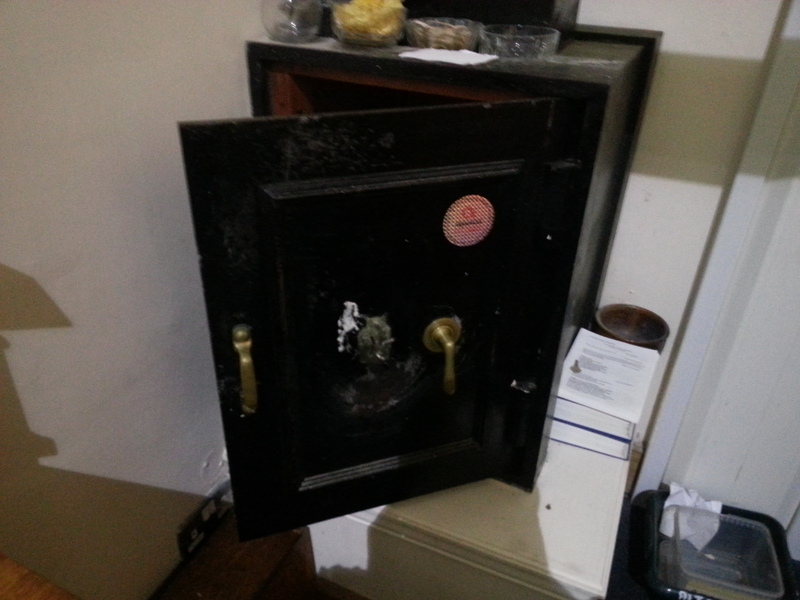 We picked the safe open and put it back in to service by re-keying the lock. 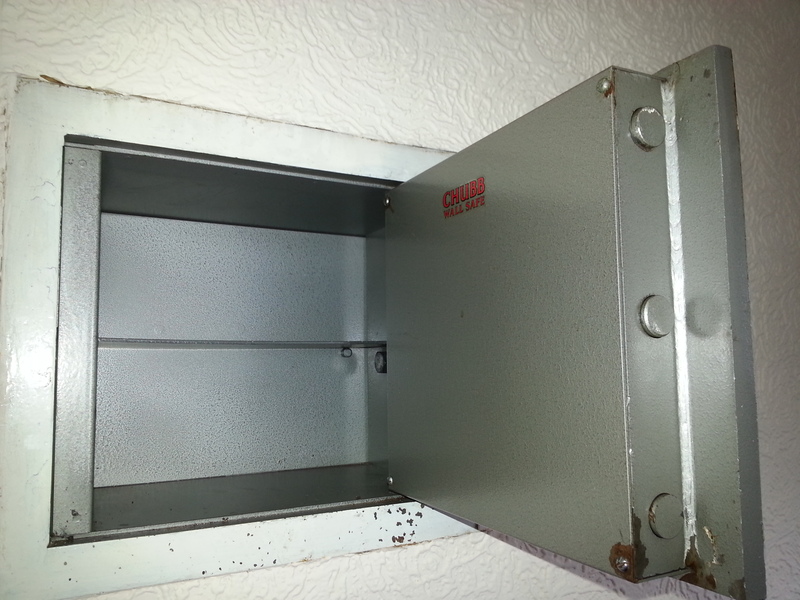 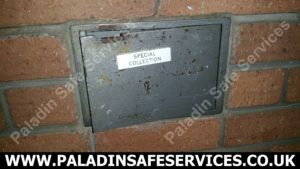 This Chubb wall safe had failed to be opened by another locksmith. We got it open for the customer thus maintaining our 100% success rate.